TIME Hotels, headquartered in the UAE, has opened a new Central Reservations Office (CRO) in Egypt as part of the expansion plan in the Middle East and North Africa (MENA) region, according to a press release on Monday. The new CRO is located in Cairo, with a role to manage the room inventories for all hotels, in addition to coordinating and operating all reservations and offer the latest updated rates and availability for various distribution channels including TIME Hotels’ online booking engine. 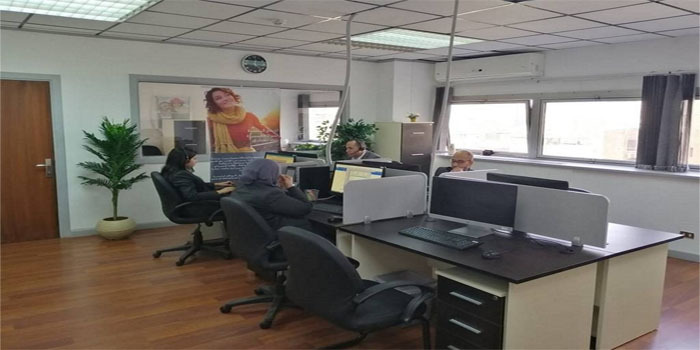 The existing TIME Hotels office in Egypt will boost the new booking unit by ensuring the efficient use of resources and funds, in addition to enhancing operational support across the region. “With a resurgence in tourists in recent years, Egypt presents new opportunities for TIME Hotels to expand its presence. Expansion is the main driver of our business plan over the next few years, with new openings taking place in Dubai, Sharjah, Saudi Arabia and Egypt, taking our total portfolio to 20 properties by the end of 2020,” CEO of TIME Hotels Mohamed Awadalla said. In the third quarter of 2019, TIME Hotels will open the first beach resort in Egypt, TIME Nozha Beach Aqua Park Hotel & Resort, a four-star property located in Ras Sudr. The resort will feature 52 rooms and four suites as well as five castles, 93 villas, 891 chalets and 136 studios. “Other openings scheduled to take place throughout 2019 include two properties in Saudi Arabia, one in Dubai and the debut of our TIME Express Hotels brand in Sharjah during the second quarter of 2019,” the press release added.